Rolling out on the Orca boat with Richard Dreyfuss doesn’t seem like much of a vacation. Sure, there’s a good dose of this-would-never-happen-at-home adventure in joining the hunt for a man-eating shark. But there’s also that whole getting eaten thing. Which is why, theoretically, shark-chasing travel is best done from an automated boat at Universal Studios. The truth, of course, is that most sharks have very little interest in making brunch out of your right leg, and even cage diving with Great Whites is usually less dangerous than a night out with Kiefer Sutherland. Which is why one resort is offering its guests the chance to not only see sharks but also spend some quality time tagging them for scientific research. 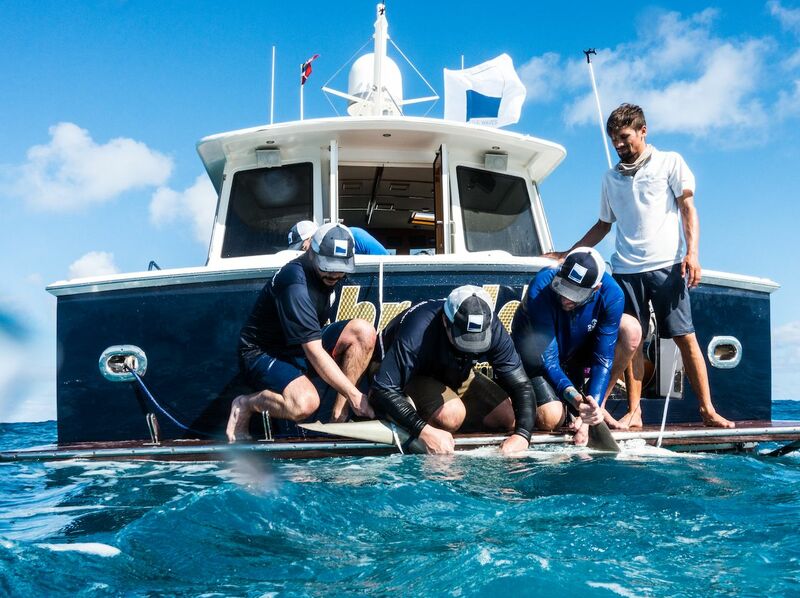 The Grand Isle Resort and Spa in Great Exuma, Bahamas, is sending guests out with marine biologists on shark-tagging missions, catching sharks, tagging them, and collecting essential data to help with their conservation. If this is the point where you’re imagining your left hand being bitten off in a fit of “What the $*#& are you attaching to my ear” shark rage, rest assured these shark breeds are all highly friendly and not at all threatening to humans — read: not Great Whites. For a charitable, $500 donation to Beneath the Waves — an NGO dedicated to the conservation of sharks and their habitats — you’ll join renowned marine biologist Dr. Austin Gallagher and his colleagues aboard a small research vessel. 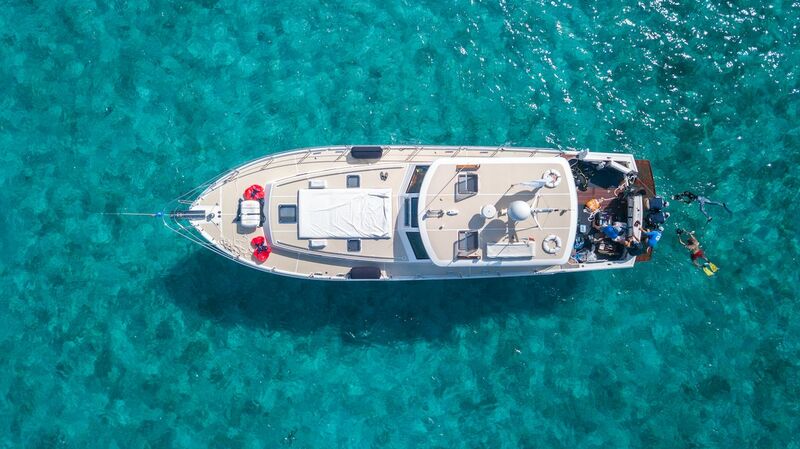 You’ll spend the day scouring the turquoise waters off the Bahamas for tiger, hammerhead, reef, and nurse sharks. You and the team of marine biologists will catch the sharks then apply satellite tags that help researchers and conservationists track the animals, learning where they’re moving and hopefully understanding why. You’ll then assist, as much as someone completely unqualified for shark research can, in the collection of important data from said sharks, like taking measurements and tissue samples. The process is completely humane and fairly integral to ensuring the world has a shark population in the future. “The Bahamas is one of the most important areas for sharks globally, and conducting our shark tagging research in the Exumas will help us gather the necessary data to determine the value of protecting sharks for the environment and economy,” Dr. Gallagher said via a press release. The staff will go into more detail during the trip, which will also include light snacks and drinks. Think economy-class domestic flight with more legroom and, for some reason, live sharks. So if you love sharks like Drake loves puffy vests, this might be the vacation for you. The first trip goes out February 20, continuing with daily excursions through the 24th, weather permitting. Then more missions in the future, which you can learn about from the resort. For $500 it’s about as close as you can get to sharks in nature without a scuba certification or death wish, and it helps conserve their habitat in the process. A day chasing Jaws it’s not, but that’s probably a good thing. Better to help do some research than return home minus a limb.